This book is awesome if you are seeking meaning of your existence,if you want to read mind of God,if you seek knowledge and question the existence of everything. Can never ending universe really form from just a Big Bang or the universe is continuum . What are the limits of the universe,how it all began ,where it will led us and what is our future ,us being Humans. Michio kaku has covered and explained the complex scientific terminologies very efficiently. Any person from non-science background can read and still understand this book . Michio Kaku has covered from big bang,string theory,steady state theory ,black holes,white holes,supernova,big freeze,gravity ,anti-gravity,time,time travel ,time travel paradoxes ,universe ,multiverse,quantum universe ...and lots more concepts explained in non scientific language . It just amazes you that where science has reached and achieved . Scientist have dared to read mind of God. If there existed nothing then how did big bang occur?or It was steady always ? or It's all part of string. ? Is atom the smallest particle ? or there are strings and quantum particles. Michio kaku has really explained all that imaginary creation of time-travel ,space drive ,space travel,warp drive,hyperspace,space civilizations from star war movies ,time travel textbooks and sci-fi movie. Can we or cant we go beyond speed of light !! What is you go back in time,? can you change your past . All those paradoxes explained. Why only Earth has life ?Are we alone in universe or not . Were we created for reason or we just combination of some random events. !! 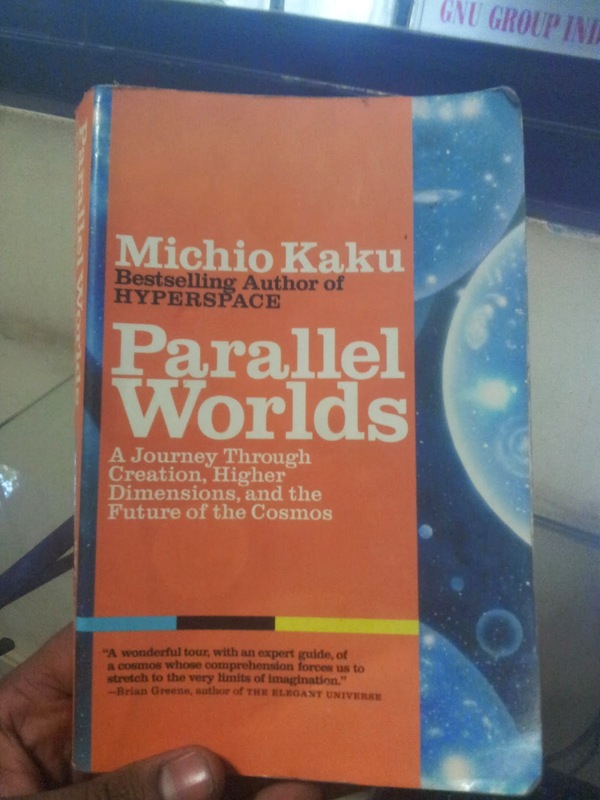 Michio Kaku has explained theories of various scientists their debates ,papers concepts so well that this book feels like .ummm like a storybook but with awesome science concepts . Scientists like Einstein ,Newton ,Bohr,Heisenberg ,Erwin Schrödinger ,their theories explained ,just feels wow. Michio Kaku has covered all those questions answered and unanswered that one may raise while exploring about space and universe . Just read the book its amazing . Read and know the reason why everything is the way it is now. Can u give me ur contact details. We are actually looking for such fresh talent . looking forward to hear from you ASAP.